Lin, Ji-Ping, Unpublished, “The migration of labor between Taiwan and Southeast Asia: changing policies”, The National Bureau of Asian Research, Washington D.C..
Lin, Ji-Ping, 2016, “Taiwan Temporary Workers and Labor Marginalization in the Context of Segmented Labor Market, 1991-2010 (TRABAJADORES TEMPOREROS DE TAIWAN Y MARGINACIÓN LABORAL EN EL CONTEXTO DEL MERCADO DETRABAJO SEGMENTADO, 1991-2010)”, ARBOR-CIENCIA PENSAMIENTO Y CULTURA, Vol.192, No.777, 291. Dorinda Tsai-Hsiu Liu, Ying-Hwa Chang, Paul Jen-Kuei Li & Ji-Ping Lin, 2015, “Language shift of Taiwan’s indigenous peoples: a case study of Kanakanavu and Saaroa”, Journal of Multilingual and Multicultural Development, 36(7), 729-749. Lin, Ji-Ping, 2012, “Tradition and Progress: Taiwan’s Evolution Migration Reality”, Migration in The Modern Chinese World, 16. Liaw, K.L., J.P. Lin, & C.C. Liu, 2011, “Reproductive Contributions of Taiwan's Foreign Wives from the Top Five Source Countries”, Demographic Research (The Max Planck Institute for Demographic Research), 24, 633-670. Liaw, K.L., Ji-Ping, Lin and C. C. Liu, 2009, “Reproductive contributions of foreign wives in Taiwan: similarities and differences among major source countries”, SEDAP Research Paper, 258,1-67. Lin, Ji-Ping, 2006, “The Dynamics of Labor Migration in Taiwan: Evidence from the 1990 and 2000 Taiwan Population Censuses”, Geography Research Forum, 26,61-92. Lin, Ji-Ping, 2006, “Representability and Estimation Effectiveness of Longitudinally Linked Cross-sections: An Assessment Based on the 1981-2000 Manpower Utilization Surveys.”, Survey Research, 18, 73-111. Liaw, K.L., W.H. Frey and Ji-Ping Lin, 2002, “Location of Adult Children as an Attraction for Black and White Elderly Migrants in the United States”, Environment and Planning A, 34(2), 191-216. Lin, Ji-Ping, 2002, “Impacts of Foreign Labor on the Internal Migration of Domestic Labor: The Case of Taiwan”, Taiwan Economic Association Annual Conference Proceedings, 2001, 329-363. Liaw, K. L. and Ji-Ping Lin, 2001, “Primary Migration of The Taiwanese Young Labor Force in the Context of Economic Restructuring and Globalization: An Explanation Based on the Data of the 1990 Census”, Tokyo: Journal of Population Studies, NSC 89-2415-H-194-026, 7-28. Tsay, C.L and Ji-Ping Lin, 2001, “Labor Importation and Unemployment of Local Workers in Taiwan”, Asian and Pacific Migration Journal, 10(3-4), 505-534. Lin, Ji-Ping, 2001, “Labor Migration in Taiwan as A Gendered Process: Do Migrants Earn More than Non-migrant?”, Bulletin of the Geographical Society of China, NSC 89-2415-H-194-026, 13-26. Liaw, K.L., W.H. Frey and Ji-Ping Lin., 2000, “Location of Adult Children as an Attraction for Black and White Elderly Migrants in the United States”, SEDAP Research Paper, 17,1-34. Lin, Ji-Ping and K.L. Liaw., 2000, “Labor Migrations in Taiwan: Characterization and Interpretation Based on the Data of the1990 Census”, Environment and Planning A, 32(9), 1689-1709. Lin, Ji-Ping and C.L. Tsay, 2000, “Labour Migration and Allocation of Human Resources: the Cases of Return and Onward Movements”, Asian and Pacific Migration Journal, 9(1), 1-34. Lin, Ji-Ping and K.L. Liaw., 1999, “Return and Onward Migrations and Their Determinants of the Young Labor Force in Taiwan: Evidence from the Data of the1990 Census”, Taipei: Journal of Population Studies(人口學刊), 20, 63-92. Lin, Ji-Ping, K.L. Liaw and C.L. Tsay., 1999, “Determinants of Fast Repeat Migrations of the Labour Force: Evidence from the Linked National Survey Data of Taiwan”, Environment and Planning A, 31(5), 925-945. Liaw, K.L, Ji-Ping Lin and W.H. Frey., 1998, “Impacts of Low-skilled Immigration on the Internal Migration of the US-born Low-skilled Persons in the United States: An Assessment in A Multivariate Context”, Tokyo: The Journal of Population Studies, 23, 5-24. Lin, Ji-Ping, accepted, “Human Relationship and Kinship Analytics from Big Data Based on Data Science: A Research on Ethnic Marriage and Identity Using Taiwan Indigenous Peoples as Example”, editor(s): Cathleen Stuetzer et al., Computational Social Science in the Age of Big Data. Concepts, Methodologies, Tools, and Applications, pp. 268-302, Cologne, Germany: Herbert von Halem Verlag (Cologne, Germany), in Neue Schriften zur Online-Forschung of the German Society for Online Research. Lin, Ji-Ping, 2017, “An Infrastructure and Application of Computational Archival Science to Enrich and Integrate Big Digital Archival Data: Using Taiwan Indigenous Peoples Open Research Data (TIPD) as Example”, editor(s): Lin, Ji-Ping, 2017 IEEE International Conference on Big Data (Big Data), pp. 9, MA: Boston: The IEEE Computer Society Press. Lin, Ji-Ping, Unpublished, “Data Science as a Foundation towards Open Data and Open Science: The Case of Taiwan Indigenous Peoples Open Research Data (TIPD)”, editor(s): SISSA, Scuola Internazionale Superiore di Studi Avanzati, Proceedings of 2017 International Symposium on Grids & Clouds, PoS (Proceedings of Science). Lin, Ji-Ping, Unpublished, “Micro Discrete Events and Macro Continuous Social Outcomes: Migration Flows Analysis and Scientific Computing Challenges for Social Scientists”, editor(s): Lin, Ji-Ping, PoS (Proceedings of Science). Lin, Ji-Ping, 2013, “Casual employment”, editor(s): Michalos, Alex (ed. ), Encyclopedia of Quality of Life Research, pp. 593-596, Netherlands: Springer. Lin, Ji-Ping, 2013, “Micro Discrete Events and Macro Continuous Social Outcomes: Migration Flows Analysis and Scientific Computing Challenges for Social Scientists”, editor(s): Lin, Ji-Ping, The International Symposium on Grids & Clouds (ISGC) 2013, pp. 15, Taipei: Academia Sinica, RCHSS. Lin, Ji-Ping, 2012, “Are Native "Flights" from Immigration "Port of Entry" Pushed by Immigrants? : Evidence from Taiwan”, editor(s): E. Fong, N. Chiang, and N. Delton, Immigrant Adaptation in Multi-Ethnic Cities - Canada, Taiwan, and the U.S (ISBN 9780415628549), pp. 64-108, New York: Routledge. Ji-Ping Lin, 2011, “Cross-strait and Internal Migration: Key Factors for Traditional Regional Formation”, editor(s): Reginald Yin-Wang Kwok, The Second Great Transformation: Taiwanese Industrializtion in the 1980s-2000s (NSC 96-2415-H-001-026-MY2), pp. 81-121, Taipei: NCCU Press. 林季平, 2007, “Involuntary Job Turnover in Taiwan,1996-2000”, editor(s): Joseph Lee, The Labour Market and Economnic Development of Taiwan, pp. 211-237, USA: Edward Elgar Publishing Inc.,MA,USA. Tsay, C.L, Ji-Ping Lin, 2003, “Return Migration and Reversal of Brain Drain to Taiwan: An Analysis of the 1990 Census Data”, editor(s): Iredale, R., C. Hwksley, and S. Castles, Migration in the Asia Pacific,, pp. 1, U.K.: Edward Elgar Publishing Inc..
Tsay, C.L., Ji-Ping Lin, 2000, “An Analysis of the Re-employment Conditions of the Involuntary Job-change Workers in Taiwan”, editor(s): Joseph S. Lee, Recent Developments in Involuntay Unemployment in Asian Countries: Causes and Policies, Chapter 5,, pp. 73-93, Taiwan: National Central University..
Tsay, C.L. and Ji-Ping Lin., 1999, “Annotated Bibliography on Population and Labour Migration in Taiwan.”, Annotated Bibliography on Population and Labour Migration in Taiwan., Taiwan. : The Institute of Economics, Academia Sinica,. Lin, Ji-Ping, 2018, “Multiculturalism and Social Inclusion: Changing Migration Policies and Possible”, paper presented at 2018 World Social Science Forum, Fukuoka, Japan: International Social Science Council (ISSC), 2018-09-25 ~ 2018-09-28. Lin, Ji-Ping, 2018, “Human Development Index and Policy Implication for Taiwan Indigenous Peoples: A Study Based on Taiwan Indigenous Peoples Open Research Data (TIPD)”, paper presented at 2018 International Open Data Conference (IODC18), Buenos Aires, Argentina: The International Council on Archives (ICA), 2018-09-27 ~ 2018-09-28. Lin, Ji-Ping, 2018, “Open Science as Foundation of Overcoming Replicability Issues in Social Sciences: The Case of Taiwan Indigenous Peoples Open Research Data (TIPD)”, paper presented at XIX ISA World Congress of Sociology, Metro Toronto Convention Center: International Sociological Association, 2018-07-15 ~ 2018-07-21. Ji Ping Lin, 2018, “TIPD -- Taiwan Indigenous Peoples Open Research Data”, paper presented at General Online Research 2018 (GOR 18), TH Köln - University of Applied Sciences , Cologne, Germany: German Society for Online Research (Deutsche Gesellschaft für Online-Forschung - DGOF e.V.) and DGOF (http://www.dgof.de/), 2018-02-28 ~ 2018-03-02. Lin, Ji-Ping, 2017, “An Infrastructure and Application of Computational Archival Science to Enrich and Integrate Big Digital Archival Data: Using Taiwan Indigenous Peoples Open Research Data (TIPD) as Example”, 2279-2287 pages, paper presented at IEEE Big Data Conference 2017, Boston, MA, USA: IEEE Computer Society Press, 2017-12-11 ~ 2017-12-14. Lin, Ji-Ping, 2017, “Taiwan Indigenous Peoples Open Research Data (TIPD) as Archival Collections”, paper presented at Harvard Library Computational Archival Science Unconference, 2017 Imagine! Our Archival Collections as Data, MA: Boston: Harvard University, 2017-12-14. Lin, Ji-Ping, 2017, “Data Science as Foundation of Innovating Demographic Research: Theory, Methods, and Implementation Using TIPD Big Open Data as Example”, paper presented at XXVIII IUSSP International Population Conference, Cape Town: SOUTH AFRICAN NATIONAL ORGANISING COMMITTEE (NOC), 2017-10-29 ~ 2017-11-04. Lin, Ji-Ping, 2017, “Data Science as a Foundation towards Open Data and Open Science: The Case of Taiwan Indigenous Peoples Open Research Data (TIPD)”, paper presented at 2017 International Symposium on Grids & Clouds (ISGC), Taipei: Academia Sinica: Academia Sinica Grid Computing Centre (ASGC), 2017-03-05 ~ 2017-03-10. Lin, Ji-Ping, 2016, “TIPD (Taiwan Indigenous Peoples open research Data): Construction Methods and Sharing Contents”, paper presented at The 2016 International Indigenous Open Data Summit (IODS), Madrid, Spain: The IFEMA North Convention Centre, 2016-10-03 ~ 2016-10-05. Lin, Ji-Ping, 2016, “TIPD (Taiwan Indigenous Peoples open research Data): Construction Methods and Sharing Contents”, paper presented at The 2016 International Open Data Conference (IODC), Madrid, Spain: The IFEMA North Convention Centre, 2016-10-06 ~ 2016-10-07. Lin, Ji-Ping, 2016, “Data Science as a Foundation of Integrating and Enriching Administrative Data: The Case of Constructing Taiwan Indigenous Peoples open research Data (TIPD) Based on Taiwan Household Registration Administrative Data”, paper presented at The 9th International Conference on Social Science Methodology, University of Leicester, UK: ISA RC33, 2016-09-11 ~ 2016-09-16. Lin, Ji-Ping, 2016, “Characterization and Comparison of Quality of Life between Indigenous and Non-indigenous Peoples in Taiwan Based on Human Development Index Constructed from Micro Data”, paper presented at The International Society for Quality-Of-Life Studies, South Korea: Annual Conference, Seoul National University, 2016-08-25 ~ 2016-08-27. Lin, Ji-Ping, 2016, “Aging, Labor Migration, Elderly Migration, and Labor Shortages: Issues and Challenges in Taiwan”, paper presented at The 23rd Pacific Science Congress Science, Technology and Innovation: Building a Sustainable Future in Asia and the Pacific, Taipei: Academia Sinica, 2016-06-13 ~ 2016-06-17. Lin, Ji-Ping, 2016, “Construction of Synthetic Indicators for Measuring the Level of Social Integration and Identity: Evidence from Utilizing Micro Genealogy of Taiwan Indigenous Peoples”, paper presented at The Current Issues of Economic and Social Integration – In Hungary and Taiwan, Hungary,Budapest: Budapest Business School, University of Applied Science, 2016-02-22 ~ 2016-02-23. Lin, Ji-Ping, 2015, “‘Construction of Micro Genealogy as “Social DNA Sequencing” for The Study of Social Assimilation and Integration: An Approach Using High Performance Computing (HPC) Applied to Cumulated Micro Data Sets of Taiwan Indigenous Peoples”, paper presented at Dealing with Complexity in Society: From Plurality of Data to Syhthetic Indicators, Italy: University of Padua, 2015-09-17 ~ 2015-09-18. Lin, Ji-Ping, Bow-Wen Tsai, Ming-Cheng, and Hsin-Hsien Liao, 2015, “Contemporary Population Geography of Taiwan Indigenous Peoples: A Revival of Research from Integration and Enrichment of Modern Administration Micro Records & Construction of TIPD Data Bank”, paper presented at The 8-th International Conference on Population Geography, Brisbane, Australia: The University of Queensland, 2015-06-30 ~ 2015-07-03. Lin, Ji-Ping, 2015, “Construction of Micro Genealogy as “Social DNA Sequencing” for The Study of Assimilation and Integration: An Approach Using High Performance Computing (HPC) Applied to Cumulated Micro Data Sets of Taiwan Indigenous Peoples”, paper presented at The 2013 International Symposium on Grids & Clouds (ISGC 2015), Taipei: Academia Sinica, 2015-03-10 ~ 2015-03-15. Lin, Ji-Ping, 2014, “Workload and Wage Gain as Determinant Indicators of Constructing a Composite Index Reflecting Worker Well-Being: Evidence from Taiwan Record-Linkage Data of Manpower Surveys”, paper presented at XVIII ISA World Congress of Sociology, Yokohama: International Sociological Association, 2014-07-13 ~ 2014-07-17. Chang, Y.H., J.P. Lin, T.H. Liu, and Paul J.K. Li., 2013, “The Impact of Migration on the Language Loss of Taiwan’s Indigenous Peoples: A Case Study on Kanakanavu and Saaroa”, paper presented at But What if They Exaggerate Their Age? Language, Culture, and Language-Based Knowledge in Large Dataset Collection, University College London: University College London, 2013-12-05 ~ 2013-12-07. Lin, Ji-Ping, 2013, “Dynamics of Migration and Development: Taiwan, 1600-2010”, paper presented at XXVII IUSSP IUSSP International Population Conference, BEXCO Conference Centre,Busan, Korea: The IUSSP and the Korean National Organising Committee (NOC), 2013-08-26 ~ 2013-08-31. Lin, Ji-Ping, 2013, “Mapping Taiwan Population Redistribution Dynamics in the Context of Immigration Impact”, paper presented at Regional Conference of International Geographic Union, Kyoto International Conference Center, Kyoto: National Committee of Japan for IGU, 2013-08-04 ~ 2013-08-09. Lin, Ji-Ping., 2013, “On Bridging Micro Individual Discrete Events and Macro Continuous Population Outcome: Evolutions of Flows Analysis and Scientific Computing Challenges”, paper presented at The 65th Annual Meeting of Population Association of Japan, Sapporo City University: Population Association of Japan, 2013-05-31 ~ 2013-06-02. Lin, Ji-Ping, 2013, “Micro Discrete Events and Macro Continuous Social Outcomes: Migration Flows Analysis and Scientific Computing Challenges for Social Scientists”, paper presented at The 2013 International Symposium on Grids & Clouds (ISGC 2013), Academia Sinica, Taipei: Academia Sinica Grid Computing Centre, ASGC, 2013-03-17 ~ 2013-03-22. Lin, Ji-Ping, 2012, “Population Policy in Taiwan”, paper presented at The Annual National Symposium on Population Studies, Bangkok: Thai Population Association, 2012-11-22 ~ 2012-11-23. Lin, Ji-Ping, 2012, “Environmental Disasters and Health Status of Environmental Migrants: The Case of Taiwan”, paper presented at The 2012 Annual Meeting of Population Association of Japan, The University of Tokyo: PAJ & Univ of Tokyo, 2012-06-01 ~ 2012-06-03. Lin, Ji-Ping, 2011, “Environmental Changes and the Health Status of Environmental Migrants: A Case Study of the Impact of 2009 Typhoon Morakok on Taiwan”, paper presented at International Symposium on Longevity, Health, and Society, Academia Sinica: Taiwan Health and Society Association, 2011-06-23 ~ 2011-06-25. Lin, Ji-Ping and Chien-Chia Liu, 2011, “Characterization and Destination Choice of American and Japanese Immigrants in Taiwan: Evidence from Taiwan Population Census”, paper presented at The 2011 Annual Meeting of Population Association of Japan, Kyoto University: Population Association of Japan; Kyoto University, 2011-06-10 ~ 2011-06-11. Chen, Duan-Rung, Ji-Ping Lin, 2011, “The Socio-geography of Insomnia and Unemployment and Its Impact on Obesity in 2005 Taiwan”, paper presented at The 2011 Annual Conference of Population Association of Taiwan, Taipei: Academia Sinica: Population Association of Taiwan, 2011-04-28 ~ 2011-04-29. Alex Voss, Andy Turner, Jing-Ya You, Eric Yen, Hsin-Yen Chen, Simon Lin, Ji-Ping Lin, 2010, “Scalable Social Simulation: Investigating population-scale phenomena using commodity computing”, paper presented at The IEEE e-Science 2010 Conference, Brisbane, Australia: IEEE Computer Society´s Technical Committee for Scalable Computing (TCSC), 2010-12-07 ~ 2010-12-10. Lin, Ji-Ping, 2010, “Are domestic labor “flights” pushed by foreign labor: evidence from Taiwan”, paper presented at Immigration in Multi-ethnic Contexts from International Perspectives, Department of Geography, National Taiwan University: Department of Geography, National Taiwan University, 2010-12-08 ~ 2010-12-10. Alex Voss, Andy Turner, Jing-Ya You, Eric Yen, Hsin-Yen Chen, Simon Lin, Ji-Ping Lin, 2010, “Social Simulation: investigating population-scale phenomena from the bottom up”, paper presented at 2010 Internationl Conference on Survey Research Methodology, Conference Room I, Academic Activity Center, Academia Sinica: Center for Survey Research, Research Center for Humanities and Social Sciences, Academia Sinica, 2010-08-25 ~ 2010-08-26. Lin, Ji-Ping, 2010, “A Taiwanese History of Migration and The Appraisal of Migration Theories: 1600-2000”, paper presented at the Conference on Migration and Mobility in a Global Historical Perspective, Room 305, Department of Geography, NTU: NSC and IIAS, National Taiwan University, 2010-08-26 ~ 2010-08-29. Lee, Bih-Hearn Virginia, Ji-Ping Lin, Lih-Rong Lillian Wang, and Chien-chia Liu., 2009, “A Rise of New Urban Working Poor? : A Spatial Analysis of Occupation, Atypical Work and Income in Taipei City”, paper presented at The 4th Asia Conference on Social Quality, Bangkok: International Institute of Social Studies, 2009-12-09 ~ 2009-12-10. Lin, Ji-Ping, 2009, “Migration and Development in the Context of Contending Political Economy: The Case of Taiwan”, paper presented at Session GM1 Global Mobility (IGU Globility Commission), EUGEO 2009 Congress, Bratislava, Slovak: EUGEO, 2009-08-12 ~ 2009-08-16. Duan-Rung Chen, Ji-Ping Lin, Tzai-Hung Wen, 2006, “Network Structure and GIS Mapping on Job History Patterns among Large-scale Hospital Directors in Taiwan”, paper presented at 2006 Internationl Conference on Survey Research Methodology, Academia Sinica: Center for Survey Research, Research Center for Humanities and Social Sciences, Academia Sinica, 2006-08-30 ~ 2006-08-31. Ji-Ping Lin, 2006, “The dynamics of Taiwan’s regional human capital transformation in the context of contending political economy between Taiwan and China”, paper presented at Symposium on State and regional Restructuring in Taiwan：Impact of Cross-Strait Political Economy, Taitung County: National Taitung University, 2006-05-06. Ji-Ping Lin, 2004, “Sample Attrition and Statistical Estimation Effectiveness of Matched Cross-sections: An Analysis Based on the 1981-2000 Quasi-longitudinal Manpower Utilization Survey”, paper presented at 5-th Conference on survey research Methodology and Application, Taipei: Center for Survey Research, Academia Sinica, 2004-09-02 ~ 2004-09-03. Llin, Chao-Yin and Ji-Ping Lin, 2003, “An Analysis of the NHI Uninsured Population in Taiwan: the Evidence and the Policy”, paper presented at The 30th ICSW Asia Pacific Regional Conference, Taipei: The International Council on Social Welfare (ICSW), 2003-12-08 ~ 2003-12-12. Lin, Ji-Ping, 2002, “Impact of Foreign Labor on the Internal Mobility of Domestic Labor in Taiwan”, paper presented at XV-th ISA World Congress of Sociology, Brisbane, Australia: International Sociological Association, 2002-07-07 ~ 2002-07-13. Lin, Ji-Ping and C.N. Chen, 2002, “An Examination on ADL among Taiwanese Elderly with GIS”, paper presented at Chinese Y2K Census Symposium, Hong Kong: Hong Kong University of Technology and Science, 2002. Lin, Ji-Ping and C.L. Tsay., 2001, “Return Immigration and the Reversal of Brain Drain in Taiwan: A Preliminary Analysis Based on the 1990 Population Census”, paper presented at 台灣高科技產業人力問題研討會, 桃園縣: 中央大學, 2001. Lin, Ji-Ping, 2001, “Labor Migration in Taiwan as A Gendered Process: Do Migrants Earn More than Non-migrants?,”, paper presented at Taiwanese Population Association Annual Conference, Taipei: National Taiwan University, 2001. Tsay C.L. and Ji-Ping Lin, 2000, “Working and Living Conditions of Thai Contract Workers in Taiwan: A Study on Individual Outcomes of Labour Migration”, paper presented at The Annual Conference of Southeast Area Studies in Taiwan, 2000, Taipei County: Tamkang University, 2000-05-11 ~ 2000-05-12. Lin, Ji-Ping and C.L. Tsay, 2000, “Return Immigration and the Reversal of Brain Drain in Taiwan: A Preliminary Analysis Based on the 1990 Population Census”, paper presented at Taiwanese Population Association on “Problems of Population, Family, and Migration in the new Millenniu Annual Conferencem, Taipei: National Taiwan University., 2000. Lin, Ji-Ping, 2000, “Labor Migration in Taiwan, 1600-2000”, paper presented at Problems of Population, Family, and Migration in the new Millennium, Taipei: National Taiwan University, 2000. Tsay, C.L. and Ji-Ping Lin., 1999, “Re-employment of Involuntary Job Leavers in Taiwan: An Analysis of Micro Data”, paper presented at Recent Development in Involuntary Unemployment Problem in Asian Countries, Taipei: National Central University, Taiwan., 1999-06-14 ~ 1999-06-15. Tsay, C.L. and Ji-Ping Lin., 1999, “Economic Restructuring and Labor Market Dynamics: Intra- and Inter-industrial Labor Mobility in Taiwan,”, paper presented at APEC-HRD Project Meeting on Economic Restructuring and Labour Market Dynamics., Taipei: Academia Sinica., 1999. Lin, Ji-Ping. and K.L. Liaw., 1999, “Return and Onward Migrations and Their Determinants of the Young Labor Force in Taiwan: Evidence from the Data of the1990 Census”, paper presented at The 2000 Population Census and Its Challenges, Taipei: National Taiwan University, 1999. Lin, Ji-Ping, 1999, “Labor Migration, Settlement System and Socioeconomic Development in Taiwan: 1600-1990”, paper presented at Demographic Changes cross over Century: Retrospects and Prospects, Hong Kong: Hong Kong University of Science and Technology., 1999. Lin, Ji-Ping and C.L. Tsay., 1998, “Labour Migration and Allocation of Human Resources: the Cases of Return and Onward Movements”, paper presented at Development Experience and Strategy on Both Sides of Taiwan Straits, Taipei: The Institute of Economics, Academia Sinica., 1998. Lin, Ji-Ping and K.L. Liaw, 1998, “Primary Migration of The Taiwanese Young Labor Force in the Context of Economic Restructuring and Globalization: An Explanation Based on the Data of the 1990 Census”, paper presented at 1998 COSSH(Congress of Social Science and Humanities ), Ottawa,Canada: Congress of Social Science and Humanities, 1998. Lin, Ji-Ping, K.L. Liaw and C.L. 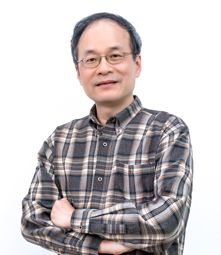 Tsay., 1997, “Determinants of Fast Repeat Migrations of the Labour Force: Evidence from the Linked National Survey Data of Taiwan”, paper presented at Canadian Regional Science Association annual meetings., Canada: Canadian Regional Science Association, 1997. Lin, Ji-Ping, 1998, “Labor Migration in Taiwan”, Department of Geography, McMaster University. Liaw, Kao-Lee ; Lin, Ji-Ping ; Liu, Chien-Chia, 2015, Uneven performance of Taiwan-born wage earners in the American and Canadian job market: Important roles of educational attainment and entry age, commissioned by Quantitative Studies in Economics and Population..
Liaw, Kao-Lee ; Lin, Ji-Ping, 2014, A shortcoming of the conventional approach to statistical explanation for wage or income variation: offering a better alternative, 71 pages, commissioned by Quantitative Studies in Economics and Population..